We offer a vast selection of Carnival Booths to suit the needs of your next event! Information kiosks, food stands, midway games, you name it! 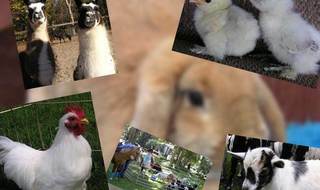 Pony rides, petting zoo, rabbits, chickens, ducks, llamas, sheep, goats, and more! Our ponies always come festively costumed as cowboy ponies or princess ponies - your choice of colored outfits. We also have mini horses with carts available for younger children. Our carts accommodate 4-6 children at a time. Packages can be customized to include only pony rides, only a zoo, or both. 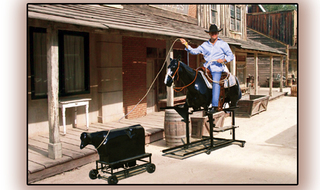 Saddle up to our horse and throw the lasso to catch the calf as it speeds down the rails! 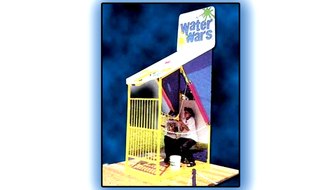 Participants enter their fortress equipped with a bucket of water balloons. 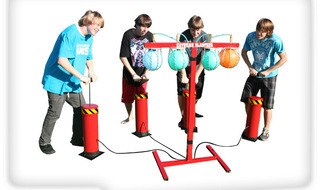 They load their slingshots with their ammunition, take aim, and fire away at their opponent! 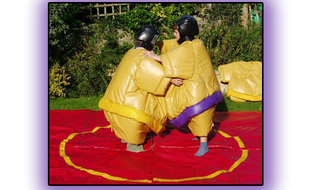 Suit up in our sumo outfits then take on your friend in a competitive and comedic match up. The competitor who knocks their opponent down or pushes them outside of the boundary is the winner! 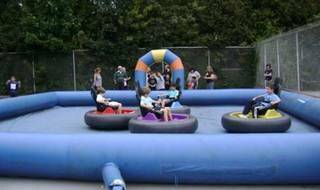 Bumper Car concept featuring 4 Bumper Cars on an inflatable track and attendants. Cars run on batteries. 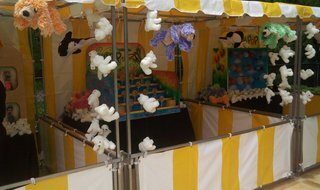 Let us recreate the days of classic carnival fun at your next event! 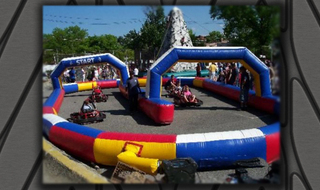 Check out our awesome inflatable Go Kart Track! Step into our zippy Go Kart and zoom around the inflated track, awesome! 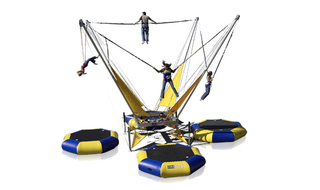 Strap in and bounce around on our Euro Bungee trampoline system! 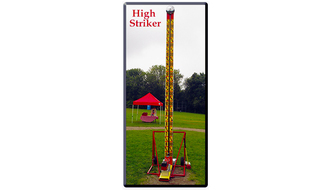 Perform tricks and stunts, flipping in midair and catching astounding heights. 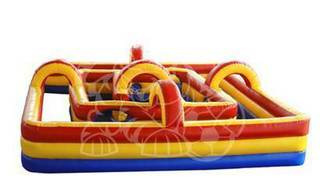 Includes big foot races, egg & spoon, tug of war and more! 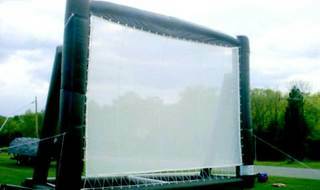 We provide the Challenge Master, team captains, scorekeepers, etc. 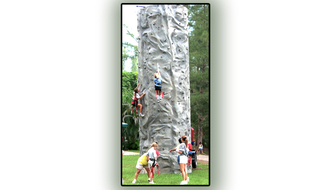 Our Solid Rock Climbing Wall gives participants the opportunity to test their strength and agility. This unique challenge is completely safe; users are supported by harnesses and they can traverse the wall without fear of harm. Strap in to our mind-bending Gyroscope! Enjoy the experience of floating, flipping, tumbling, and rotating. 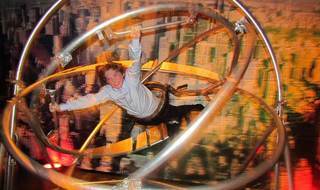 Completely safe and totally fun, the Gyroscope is a unique attraction at every event. The cherished, iconic train is available for your next event only without the need for rails! 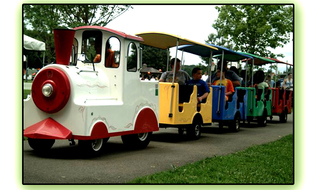 Operated on electricity, the Trackless Train gives riders the fun of a train ride across all sorts of terrain. Take hold of the mallet and give the catapult the strongest whack you can muster! 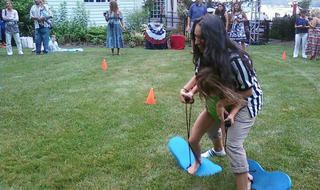 Can you hit the bell like a superhero or will you walk off like a wet noodle? 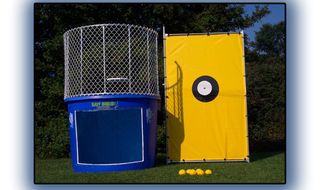 Test your aim and strength with our fabulous Dunk Tank! The designated clown sits above the tank of icy water heckling participants, urging them to take their best shot! And when a lucky skilled pitcher hits the target...SPLASH! Competitors pump their handle to inflate a balloon. Whoever pops their balloon first wins the match! Winners can receive tickets to be redeemed at a centralized prize station.